Please send me more information on Indigo Run at, Hilton Head Island Thank you. 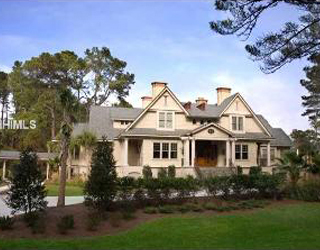 Indigo Run is a gated single-family home community located in the heart of Hilton Head Island. There are no commercial developments or short term rentals permitted inside the gates. 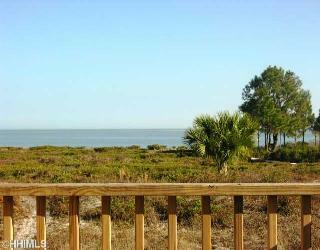 The community rests on 1,400 scenic acres with 47 lagoons and frontage along Broad Creek. There are 1,002 homesites that offer stunning views of lagoons, lakes and golf courses. Indigo Run has a unique blend of attractive, gated neighborhoods that offer distinctive life style opportunities for their home owners. Common to all of the neighborhoods is the natural beauty of Indigo Run framed by mature tree-lined roads and homesites that offer an abundance of amenities for all ages and lifestyles. One of the unique features in Indigo Run is the careful attention to detail including proportional home sizes reflecting the character of each area. Indigo Run Plantation is divided into several different housing communities including Golden Bear, The Golf Club, The River Club, Berwick Green, and Broad Pointe. All of the neighborhoods come together under the Indigo Run Community Owners Association, who oversees the amenities, assessment fees and transfer fees for the Plantation. There are POA fees assessed in each different community. The community has 5 security gates conveniently located to provide quick access to both ends of the Island. Indigo Run has 23 miles of road and 11 miles of perimeter fence. The gates, roads and perimeter fence are monitored 24 hours a day by a security staff consisting of 10 professionally trained Security Officers. Two premier golf courses call Indigo Run Plantation home. The Golden Bear course built in 1993 and the Golf Club at Indigo Run following in 1996. The first was designed by Jack Nicklaus' company, Golden Bear Design Associates, and contains a clubhouse, golf shop, and grille. The second, the Golf Club, is a members-only private course, where property owners may or may not opt for membership, with its own clubhouse and other recreational activities. 385 residents may enjoy membership at this course. Indigo Run’s recreation center is Sunningdale Park, which contains a junior Olympic-sized swimming pool, tennis courts, volleyball courts, and a children’s playground. Ownership in the community allows all privileges of use for the park, and for Golden Bear golf course. Right across Highway 278 from Hilton Head Plantation, Indigo Run has been in development since the mid-1980s. The plantation is named for the area’s once-primary crop, indigo, which was developed by botanist/plantation wife Eliza Lucas—later known as Eliza Pinckney. Indigo Run is the last major development undertaken on Hilton Head Island. The logo and street names used by the Indigo Run community are related to our historic connection to England and in particular to the Elizabethan era. The leaves in the center of our logo represent the Indigo Plant. Street names carry through the connection to The United Kingdom and to Royalty, such as Baldwin (British Prime Minister 3 times in the 1920’s and 1930’s), Balmoral (Royal family residence in Aberdeenshire, Scotland), and Wentworth (an exclusive golf club in Surrey, England). How many active real estate properties are currently listed for sale in Indigo Run , Hilton Head Island? Currently there are 44 listed for sale. Are there any foreclosures currently for sale in Indigo Run , Hilton Head Island? No, currently there are no active listings in Indigo Run with a foreclosure status. Are there any short sales currently for sale in Indigo Run, Hilton Head Island? No, currently there are no active listings in Indigo Run with a short sales status. What is the price range and average price for residential homes in Indigo Run ? The price range of the 21 listed homes for sale in Indigo Run is between 499K and 2,195K. The average price is 936K. Click here to view all residential home listings in Indigo Run. What is the price range and average price for residential condos and villas in Indigo Run ? The price range of the 1 listed condos and villas for sale in Indigo Run is between 539K and 539K. The average price is 539K. Click here to view all residential condos and villas listings in Indigo Run. What is the price range and average price for residential land and lots in Indigo Run ? The price range of the 22 listed land and lots for sale in Indigo Run is between 77K and 329K. The average price is 160K. Click here to view all residential land and lots listings in Indigo Run. What amenities a buyer should expect to find in Indigo Run ? What kind of views a buyer should expect to find in Indigo Run ? 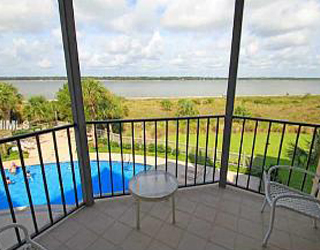 Indigo Run Plantation is conveniently located on the north end of Hilton Head Island. Within easy distance to the shopping, schools, churches, outstanding restaurants and the many recreational activities for which Hilton Head Island is known worldwide. Indigo Run’s 1700-acres feature the private Golden Bear Golf Course and The Golf Club, both stellar Jack Nicklaus-designed courses. Indigo Run is also home to a beautiful clubhouse, recreational facilities, optional golf and social memberships, exercise facilities, tennis, swimming and numerous other experiences celebrating the Lowcounty lifestyle.